Other than for designated medical use, marijuana remains an illegal product in Arizona. It's therefore illegal to produce marijuana. Cannabis is a plant that is grown under certain conditions. If accused of cultivating marijuana, the punishment is more severe than being accused of merely possessing it for personal use. 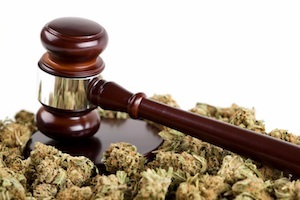 If you've been charged with cultivating or producing marijuana in the Tempe area, experienced Tempe marijuana cultivation lawyer James E. Novak can defend you. James Novak is a former prosecutor who understands both sides of the criminal justice system in Arizona, and will put that knowledge and experience to work for you. He will carefully examine the evidence the prosecution brings forward, and how the police obtained that evidence, looking for challenges so your charges are reduced or dismissed. Call the Law Office of James E. Novak today at (480) 413-1499 or send an online message for a free consultation. The Law Office of James E. Novak is based in Tempe, and represents clients throughout Maricopa County, including Mesa, Phoenix, Gilbert, Chandler, Scottsdale and East Valley. Arizona Revised Statutes § 13-3405 makes it illegal for a person to "knowingly produce marijuana." Since marijuana is a plant, this generally means to cultivate or grow cannabis. This covers a broad range of possible activities, from establishing growhouses to setting up hydroponic equipment in a home to growing a single plant in a pot on the window sill. People who qualify for medical marijuana may possess up to 12 plants. Like most statutes governing drug crimes, punishment is meted out depending on the amount of the marijuana the person charged is accused of possessing. The possession can be actual, but for production or cultivation, the possession is often "constructive possession." Constructive possession means the accused did not have the marijuana on his or her person, but it was in a place the person controlled. For instance, a person is accused of having a growhouse in a shed in an acre behind his home. Under the charges, he constructively possessed the marijuana in the growhouse because he had control of the property. If the total amount is less than two pounds, the charge is a Class 5 felony, carrying a potential prison term of nine months to two years, with a presumptive term of 1.5 years. If the amount is two to four pounds, the charge is a Class 4 felony, with a prison term of 18 months to three years, and a presumptive term of 2.5 years. If the amount is more than four pounds, the charge is a Class 3 felony, punishable by 30 months to seven years in prison, with a presumptive term of 3.5 years. When seeking to arrest a person on charges of producing marijuana, police must often find the evidence, usually the actual growing plants, inside a person's home. To get inside a person's home, police usually need a warrant, and to obtain a warrant, they must show that they probable cause to believe a person is growing marijuana, or that another crime is being committed in the home. Under constitutional law, people have a heightened expectation of privacy. Police have tried many tactics to obtain the probable cause necessary for a warrant that have been successfully challenged as violating that expectation of privacy, including using infrared sensors to determine whether there are devices capable of producing the heat necessary for cultivation. Your Tempe marijuana defense lawyer can help you examine the police methods used to collect evidence against you, and whether it can be successfully challenged and tossed out. Excluding evidence can lead to charges being reduced or dismissed. Tempe marijuana cultivation lawyer James E. Novak can help you fight charges of producing marijuana. Contact the Law Office of James E. Novak today at (480) 413-1499 or send an online message to set up a free consultation to review your charges.